There’s no doubt that Kyoto is a world-class tourist destination. Its countless temples, historic and cultural sites provide plenty to keep visitors busy and intrigued. If you’re looking for some quiet time with more greenery and less commercial blitz, though, these three public parks offer just that without straying from the city’s deep heritage. Just across the street from the Imadegawa or Marutamachi subway stations, the sprawling patch of green noticeable on any map of Kyoto was the residence of Japan’s royal family for ten centuries before the capital moved to Tokyo in 1869. It is now open as a public park. The inner sanctuaries of both the Imperial and Sento palaces are free to enter; informative tours are available as is an audio guide app. The broad gravel paths around the walled-off palaces and massive manicured trees dotted throughout the park exude a sense of grandeur. 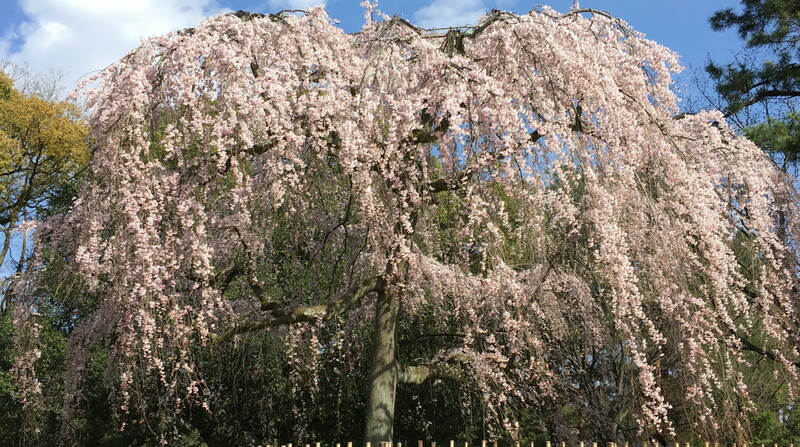 Although sculpted as a royal space, the grounds ironically offer a slice of the everyday in Kyoto: commuters whiz by on bicycles, dog walkers chat, and ardent bird watchers set up their tripods. 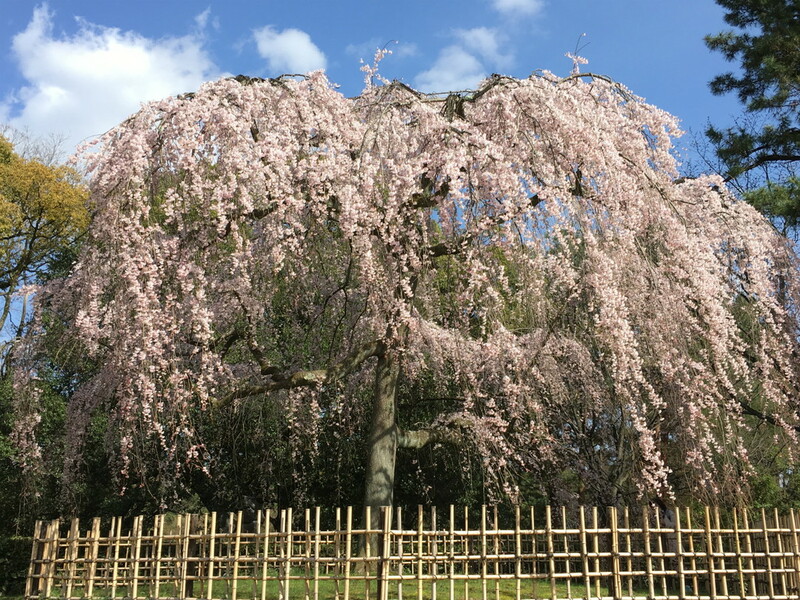 The locals call the park “minna no gosho,” or “everyone’s royal place.” Each corner and every season has something to offer—from the plum blossom garden and weeping sakura to some of Kyoto’s finest momiji (maple leaf) and ginko trees. Shimogamo Shrine lies just north of the confluence of the Kamo and Takano rivers, a favorite spot for locals and visitors alike. You can hop across the water on giant turtle-shaped stones and enjoy a packed lunch or snacks on either bank. Depending on the day you’ll see students rehearsing theater lines and musical instruments, barbecue gatherings, kendo sparring… It’s a great place to soak in the view and people-watch. 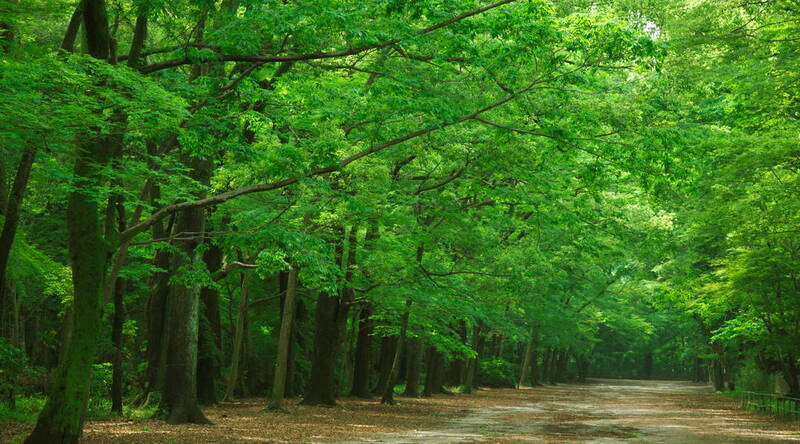 Proceed on foot or bicycle to the entrance of the Shimogamo grounds (make sure to park your bike in designated spots, free of charge). 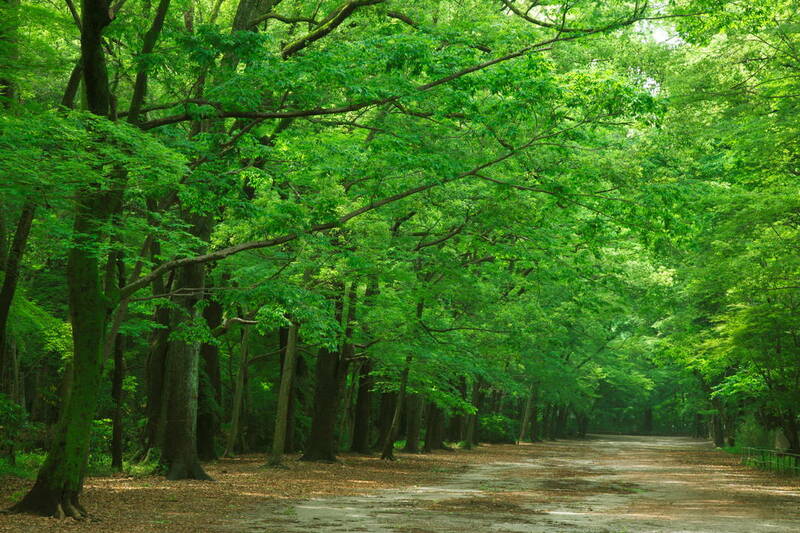 The long approach to the main shrine is lined with massive trees that produce a thick canopy overhead. The cooling shade and darkness, together with the small stream gurgling in the background, immediately calm the pace and open up the senses to entering a sacred space. Throughout the year the shrine bustles with various festivals and events: ceremonies for kimono-clad children who have turned a lucky 3, 5, or 7 years old, traditional dance performances, and firefly watching on summer nights. A short bicycle ride from Kinkaku-ji, Kyoto’s famed golden temple, Kitano Tenmangu has no less history and allure. 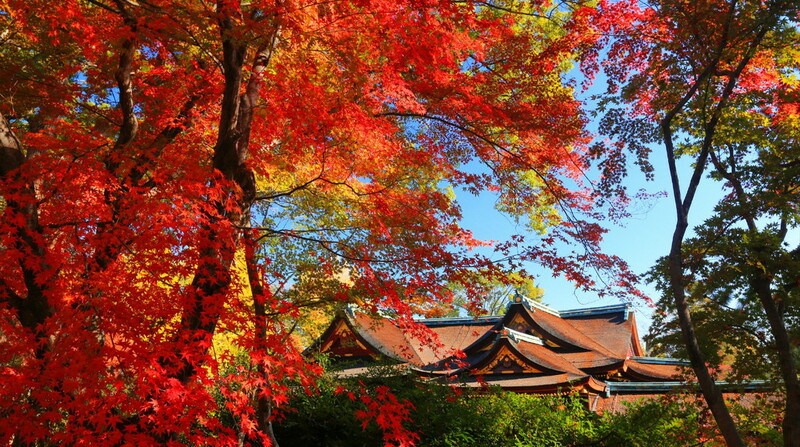 Kitano Tenmangu is the origin and the main shrine of 12,000 Tenmangu shrines across Japan. Originally built in 947 AD to pacify the angry spirit of an exiled scholar, the shrine is popular with students and academics seeking success on exams and in research. Good luck comes to those who rub the sculptures of oxen lining the path that leads up to the shrine’s main gate (the scholar was born in the Year of the Ox). 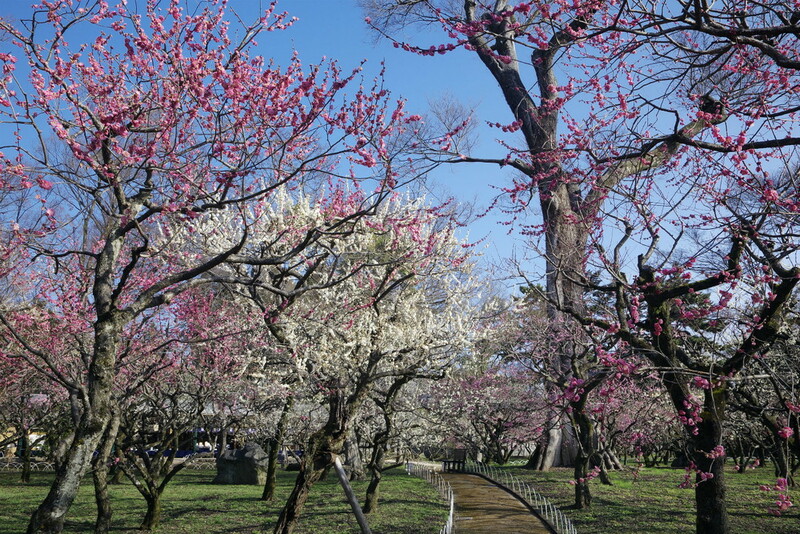 Kitano Tenmangu is famous for its exceptional plum garden, which blooms in February. It also hosts a flea market on the 25th of every month. 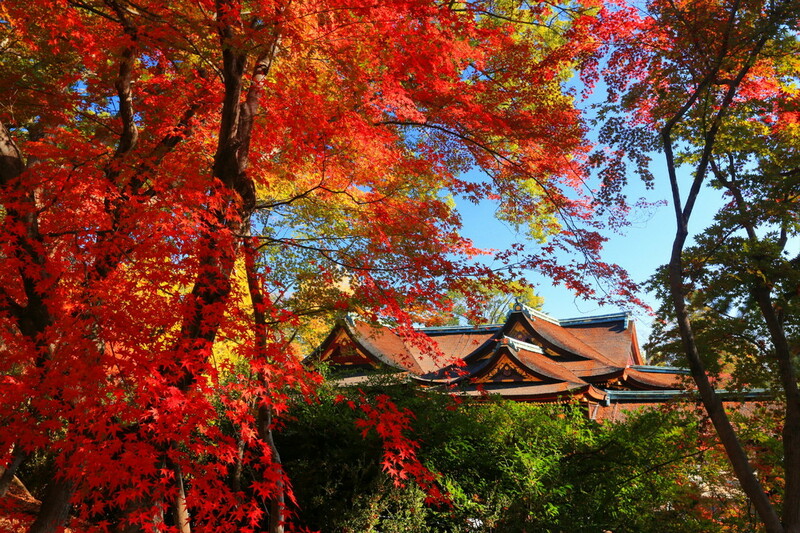 Momiji-en (maple leaf garden) opens and visitors can see 350 maple leaf trees in autumn. Take in the sublime beauty of sunbeams filtering through the trail, which follows a small canal at the back of the shrine, and you will not be disappointed.